Added Planet Hollywood Super Store at Disney-MGM Studios / Disney’s Hollywood Studios. Updated Indian War Canoes at Disneyland. Updated The Magic Kingdom in 1973. Added Buzz Lightyear Astro Blasters at Hong Kong Disneyland. Added Sleeping Beauty Castle at Hong Kong Disneyland. Updated Disney’s Electrical Parade at Disney California Adventure. Updated Conestoga Wagons at Disneyland. Updated Mary Blair Tile Murals at Disneyland. Updated Leave A Legacy at Epcot. Updated The Original Ariel’s Grotto at Magic Kingdom Park. Updated Epcot’s Icon Tower at Spaceship Earth. Updated Burning Settler’s Cabin at Disneyland. Added Dragon Challenge at Universal’s Islands of Adventure. Updated Candy Shoppe at Disney’s California Adventure. Updated Body Wars at Epcot. Added The Disney Afternoon LIVE! at Disneyland. Updated Bur-r-r Bank Ice Cream at Disney’s California Adventure. Updated Baker’s Field Bakery at Disney’s California Adventure. Updated Sixteen New Books for Disney Park Fans, 2018 (formerly Fourteen New Books). Updated Skull Rock at Disneyland. Updated Santa’s Beach Blast at Disney’s California Adventure. Updated 45 Years of Magic…Parade of the Stars at Disneyland. Updated Happiest Turkeys on Earth at Disneyland. Added Fourteen New Books for Disney Park Fans, 2018. Updated Bear Country at Disneyland. Updated Ben Hair & Dial M for Muscle at Disney’s California Adventure. Updated Then & Then & Now - Paradise Pier and Pixar Pier at California Adventure. Updated Blue Ribbon Bakery at Disneyland. Updated Original Billboards of Paradise Pier at California Adventure. Updated Earl of Sandwich at Downtown Disney, Disneyland Resort. Updated Rainbow Ridge Pack Mules at Disneyland. Added Circle of Life: an Environmental Fable at Epcot. Updated Places Not to Drink at the Magic Kingdom. Updated Bountiful Valley Farm Mural at California Adventure. Added Heimlich’s Chew Chew Train at California Adventure. Updated Two Myths about World Showcase at Epcot. Added Earl of Sandwich at Downtown Disney, Disneyland Resort. Updated Compass Books at Downtown Disney, Disneyland Resort. Updated Private Entrance for Disney’s Paradise Pier Hotel Guests at California Adventure. Updated Newport Harbor Buffalo Ranch. Updated Ceremonial Dance Circle at Disneyland. Updated Yesterland-Alweg Monorail at Disneyland. Updated TWA and the Moonliner. Updated Glow Fest at California Adventure. Added “it’s a small world” - LEGO Edition. Updated The Power of Blast! at California Adventure. Updated The Dymaxion House, a vintage “House of the Future” at The Henry Ford. Added ESPN Zone at Downtown Disney, Disneyland Resort. Updated Skyway at Magic Kingdom Park. Added Olaf’s Snow Fest at California Adventure. Added Paradise Pier Ice Cream Co. at California Adventure. Updated Catch a Flave Ice Cream at California Adventure. Updated Party Gras Parade at Disneyland. Added Treasures in Paradise at California Adventure. Updated Man Hat n’ Beach at California Adventure. Updated Honey, I Shrunk the Audience at Disneyland. Updated Triton’s Garden at Disneyland. Updated Golden Dreams at California Adventure. Updated Greetings from California at California Adventure. Updated Hollywood Pictures Backlot Elephants at California Adventure. Added Tomorrowland Light & Power Co. Video Arcade at Magic Kingdom Park. Added Block Party Bash at California Adventure. Updated Enchanted Tiki Room—Under New Management at Magic Kingdom Park. Added L.A. Cinema Storage at Disney-MGM Studios / Disney’s Hollywood Studios. Updated California Adventure Preview Center at the Disneyland Resort. Updated Chicken of the Sea Pirate Ship at Disneyland. Added California Screamin’ at California Adventure. Updated Main Street Electrical Parade, Farewell Season at Disneyland. Added Red Wagon Inn at Disneyland. 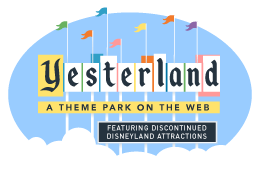 No Yesterland update today—even though it’s Friday—because of the special update three days ago. Merry Christmas! Updated The Hall of Presidents Welcomes a New President at Magic Kingdom Park. Updated Mickey’s Toontown Fair Train Station at Magic Kingdom Park. Added Fantasy on Parade at Disneyland. Added Twelve New Books for Disney Park Fans, 2017. Updated Four Ways to Enjoy Golf at the Disneyland Hotel. Added Sugar, Sugar at Disneyland in the 1960s. Added “Presented by Siemens” at Walt Disney World and Disneyland Resort. Updated The Original Test Track, Presented by GM at Epcot. Added Halloween Carnival at Big Thunder Ranch Jamboree at Disneyland. Updated Sounds Dangerous at Disney-MGM Studios / Disney’s Hollywood Studios. Added Neighbors of Aulani – Past, Present, and Future. Updated One City, Two Moonliners. Updated Retro Space Mountain at Disneyland. Updated Mulholland Madness at California Adventure. Updated Rocket to the Moon at Disneyland. Added Streets of America at Disney-MGM Studios / Disney’s Hollywood Studios. Updated X Games Xperience at California Adventure. Updated Tomorrowland Station at Disneyland. Updated Waterfall Garden at Disney’s Polynesian Resort. Updated S.S. rustworthy at California Adventure. Updated Maliboomer at California Adventure. Added Studio Catering Co. at Disney-MGM Studios / Disney’s Hollywood Studios. Updated The Wizarding World of Harry Potter at Universal’s Island of Adventure. Updated Flying Saucers at Disneyland, with 11 additional never-before-published photos. Updated Country Bear Vacation Hoedown at Disneyland. Updated Country Bear Jamboree at Disneyland. Added The Twilight Zone Tower of Terror, Coming in 2004 at California Adventure. Added “Honey, I Shrunk the Kids” Movie Set Adventure at Disney-MGM Studios / Disney’s Hollywood Studios. Updated Indian Village at Disneyland. Added 1962 Seattle World’s Fair Alweg Monorail. Updated C A L I F O R N I A at California Adventure. Updated America the Beautiful in Circarama at Disneyland Park. Added The Hunchback of Notre Dame Procession at Disneyland Park. Updated The Mickey Head on California Screamin’ at California Adventure. Added Little Patch of Heaven at Disneyland Park. Added Mailboxes by Chris Strodder from The Disneyland Encyclopedia, Third Edition. Added Neptune at Epcot and his Relatives in Rome. Updated Burger Invasion at California Adventure. Added Book Review: The Disneyland Encyclopedia, Third Edition. Updated Captain EO at Disneyland Park. Added Pooh’s Playful Spot at Magic Kingdom Park. Added Starcade at Disneyland Park. Updated Engine-Ears Toys at California Adventure. Updated Looking Glass Elevator to The Top of the Park at the Disneyland Hotel. Added Norway at Epcot: Before & After Frozen. Updated ABC Soap Opera Bistro at California Adventure. Added Vacationland Recreational Vehicle Park at the Disneyland Hotel. Updated Bountiful Valley Farm at California Adventure. Added Real Norway & Epcot’s Norway. Added The Earffel Tower at Disney-MGM Studios. Added Disney Sneaks into Knott’s Berry Farm. Added Venice, Italy & Epcot’s Italy. Added California Missions: Real and Knott’s. Updated Hollywood Holly-Day Parade at Disney-MGM Studios. Added They’re Back! The Missions Return to Knott’s Berry Farm. Added Walt Disney Birthplace - 115 Years Later. Added a review of D23 Destination D, 2016 at Disney’s Contemporary Resort. Added Luigi’s Flying Tires at California Adventure. Added Culinary Demos at the Epcot Food & Wine Festival, 2016. Updated Sum of all Thrills at Epcot. Updated Who Wants to Be a Millionaire - Play It! at California Adventure. Added Eleven Books for Disney Fans. Added Disneyland Sign, LEGO Edition. Updated Original Mad Tea Party. Updated California Zephyr at California Adventure. Added Foreword to More Secret Stories of Walt Disney World. Added Diagon Alley and the Real London, about Universal Studios Florida. Added Studio Backlot Tour at Disney’s Hollywood Studios. Added Antique Auto Ride at Knott’s Berry Farm. Updated Mission Tortilla Factory at California Adventure. Added Independence Hall at Knott’s Berry Farm. Added Toy Story Pizza Planet at Disney’s Hollywood Studios. Added Henry’s Auto Livery Ride at Knott’s Berry Farm. Added I Like Van Dyke. Added Vintage Photos of Ghost Town at Knott’s Berry Farm. Updated Pizza Oom Mow Mow at California Adventure. Added American Idol Experience at Disney’s Hollywood Studios. Updated Golden Gate Bridge at California Adventure. Added Autopia, presented by Chevron. Updated Knott’s Berry Farm, Then & Then & Now. Added Original Ghost Town Gold Mine at Knott’s Berry Farm. Added Magic Kingdom 1996 & 2016, Part 3: Main Street & Adventureland. Added Magic Kingdom 1996 & 2016, Part 2: Frontierland & Liberty Square. Added Magic Kingdom 1996 & 2016, Part 1: Tomorrowland & Fantasyland. Added Epcot Flower & Garden Festival, 2016. Added Epcot Wish List - Part 3, World Showcase. Added Epcot Wish List - Part 2, Future World Pavilions. Added Epcot Wish List - Part 1, Innoventions Plaza. Updated McDonald’s Food at Walt Disney World. Updated McDonald’s presents Dinoland U.S.A. Expanded Sun Wheel at California Adventure. Updated Future World, Then and Then and Now, Part 2 at Epcot. Updated Future World, Then and Then and Now, Part 1 at Epcot. Added Off Kilter at Epcot. Updated Christmas in Yesterland: Seven Vintage Disneyland Photos (and Two More Recent Ones). Added Captain EO at Epcot. Updated Reminders of Defunct Magic Kingdom Attractions, “Then and Then and Now”. Added Twelve Books for Disney Fans. Updated “it’s a small world” Holiday first season. Expanded Sunshine Plaza at California Adventure. Added Paper FASTPASS Distribution at Walt Disney World. Added Twister… Ride It Out at Universal Studios Florida. Added Haunted Mansion Holiday, first season. Added Bringing Back the Missions at Knott’s Berry Farm by guest contributor M.H. Habata. Added Hollywood Land Needs Help. Added Disneyland Hotel, Then & Now, Part 2: 2007 and 2015. Added Disneyland Hotel, Then & Now, Part 1: Wrather Years and 2015. Added The Inn At The Park. Added Popnology at the LA County Fair. Updated “DCA Then & Now, Part 2” to be Grizzly Peak Airfield, originally Condor Flats. Added 60 Closings in 60 Years, Part 2 at Disneyland. Added Yesterland Goes to D23 Expo, 2015. Added 60 Closings in 60 Years, Part 1 at Disneyland. Updated Condor Flats Air Tours and the “Bear Left” Billboard at California Adventure. Updated Midget Autopia 3.0: Plans for the Return of a Classic Ride. Added Food Rocks at Epcot. Added Taste Pilots’ Grill at California Adventure. Added House of the Future, LEGO Edition. Updated The Largest Ceramic Mural in the World at California Adventure. Updated Los Angeles Landmarks on the Exterior of Superstar Limo. Added The Old Mill at Storybook Land. Added Reminders of Disneyland’s Past, Part 2. Added Reminders of Disneyland’s Past, Part 1. Expanded Disneyland Long Ago, Not-So-Long Ago, and Now: Main Street and the Castle. Added A Sanity Check on “41 Insane Facts” about Disneyland, Part 4 (final part of 4-part series). Added Book Review: The Disneyland Book of Lists. Added A Sanity Check on “41 Insane Facts” about Disneyland, Part 3. Added A Sanity Check on “41 Insane Facts” about Disneyland, Part 2. Added A Sanity Check on “41 Insane Facts” about Disneyland, Part 1. Added Storybook Land and the “Class of ’55” at Disneyland. Added Condor Flats Air Tours and the “Bear Left” Billboard at California Adventure. Expanded Disneyland Long Ago, Not-So-Long Ago, and Now: Adventureland, Fantasyland, and Tomorrowland. Expanded Disneyland Long Ago, Not-So-Long Ago, and Now: Frontierland. Expanded Mine Train Through Nature’s Wonderland. Added Waterfall Garden in the Great Ceremonial House, Disney’s Polynesian Resort. Added Storybook Land from the Skyway. Added Unknotting the Treehouse Legend, looking into the real story with Chris Jepsen. Republished Please Remove Your Hat with a new introduction. Added Dept of Untapped Hilarity at California Adventure. Updated The First Christmas at California Adventure. Added Book Review: Universal vs. Disney. Redid Dinosaur Jack’s Sunglass Shack at California Adventure. Added The Death and Rebirth of the O-Zell Company. Added Happiest Turkeys on Earth at Santa’s Reindeer Roundup. Added The Original O’ Canada at Epcot. Added The Legend of Jack Sparrow at Disney’s Hollywood Studios. Added Camp Minnie-Mickey at Disney’s Animal Kingdom. Added the original Alice in Wonderland. Added Walt Disney Birthplace Restoration Underway. Added Man Hat n’ Beach at California Adventure. Updated and expanded Backstage Studio Tour. Added The Happiest Faces on Earth. Added Well-Aged Festival, looking at some of the early years of the Epcot Food & Wine Festival. Added Disneyland Signs, Part 2. Added Disneyland Signs, Part 1. Added Santa Rosa Feed & Supply at California Adventure. Updated Cranium Command at Wonders of Life, Epcot. Added Castle Rock Ridge on Tom Sawyer Island. Added Snow White’s Scary Adventures at Magic Kingdom Park. Added Did Disneyland Open July 17 or July 18? Added Book Review: Pacific Ocean Park. Updated An Urban Legend: Swan and Dolphin Reversed? Added Aulani Guests: Will Walk for Food. Updated This Week at Walt Disney World in Summer 1972. Added Cars, East and West. Added Playhouse Disney – Live on Stage! at California Adventure. Added “Let the Memories Begin” at Disneyland and Walt Disney World. Added Pollo Campero, Fresh A-Peel, and BabyCakes NYC at Downtown Disney, Walt Disney World. Expanded Yellow Ponchos of Yester World. Updated Uptown Theatre in Marceline. Added Walt Disney Hometown Museum, Marceline, Missouri. Added Disney’s Electrical Parade at California Adventure. Expanded Mary Blair Tile Murals at Disneyland. Added Treasures of the Walt Disney Archives in Chicago. Added Kim Possible World Showcase Adventure at Epcot. Added King Triton’s Carousel of the Sea at California Adventure. Added Saturday, September 26, 1953 and Sunday, February 23, 2014. Added Theme Park Investigator Interview with Werner Weiss. New version of Avalon Cove by Wolfgang Puck at California Adventure. Added Fountain View Ice Cream at Epcot. Added Radiator Springs Racers FASTPASS Distribution at California Adventure. Added DCA Then & Now, Part 7: More Hollywood Land. Added Catch a Flave Ice Cream at California Adventure. Added Kickstarter Results, The Walt Disney Birthplace Preservation Project. Added DCA Then & Now, Part 6: Hollywood Blvd. Added Kickstarting Walt Disney’s Birthplace. Added DCA Then & Now, Part 5: Pacific Wharf. Added DCA Then & Now, Part 4: More Paradise Pier. Added Restoring Walt Disney’s Birthplace. Updated Reminders of Defunct Magic Kingdom Attractions, “Then and Now”. Added Book Review: The Book of Mouse. Added Book Review: The Disneyland Story. Added House of the Future Resort. Added Epcot International Food & Wine Festival, 2013. Added Culinary Demos at the Epcot Food & Wine Festival, 2013. Added The Villas at Disney’s Grand Floridian Resort & Spa. Added DCA Then & Now, Part 3: Paradise Pier. Added The Peabody Ducks of Orlando. Added Book Review: The Vault of Walt: Volume 2. Added DCA Then & Now, Part 2: Around Condor Flats. Added DCA Then & Now, Part 1: Around Grizzly Peak. Added a Message from Werner Weiss. Updated Rainbow Ridge Pack Mules. Added Mulan’s Chinese New Year Greetings at California Adventure. Updated Disney Vacation Club Villa Views. Republished Four Full Days of Disney: The First D23 Expo (2009). Added Craziest Job at Aulani. ‘AMA‘AMA Contemporary Island Cooking at Aulani. Added Glow Fest at California Adventure. Added Yester Aulani & Future Aulani (Disney Goes Hawaiian, Part 23). Added Skyway at Magic Kingdom Park. 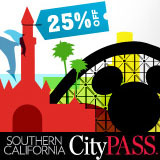 Added Celebrate Mickey: 75 InspEARations at California Adventure. Added Ben Hair & Dial M for Muscle at California Adventure. Added Original Billboards of Paradise Pier at California Adventure. Added Toy Story Midway Mania Times Three: Same Ride / Different Look. Added Private Entrance Exclusively for Paradise Pier Hotel Guests at California Adventure. Updated Ken-L Land Pet Motel. Added Country Bear Vacation Hoedown. Added Villa View at Aulani (Disney Goes Hawaiian, Part 22). Added Bountiful Valley Farm Mural at California Adventure. Added Hyperion Wharf at Downtown Disney, Walt Disney World. Added Journey into Narnia at Disney’s Hollywood Studios. Added Hollywood Pictures Backlot Elephants at California Adventure. Added More Flowers & Gardens at Epcot with more about the Epcot International Flower & Garden Festival, 2013. Added Flower & Garden & Food & Beverage about the Epcot International Flower & Garden Festival, 2013. Added Greetings from California at California Adventure. Added Book Review: It’s Kind of a Cute Story. Added Candy Shoppe at California Adventure. Added Retro Space Mountain at Disneyland (1998 Tomorrowland). Added Homage to the Moonliner. Added Blue Ribbon Bakery at Disneyland. Added TWA and the Moonliner, including the Cosmic Contest. Added Who’s Afraid of the Song of the South? author interview. For “What’s New?” entries from 2010 through 2012, see What’s New at Yesterland? (2010-2012).